Summers remind all of us the time of vacation. We’d like to have that holiday coming. It is even so that everyone starts to make plans before a couple of months. Some want a hotel holiday, while others may want a discovery holiday. Apart from these, there may be people who want to leave their annual leave in a quiet place. In this article, we will tell you about the town of Koycegiz which is one of the most beautiful and quietest towns of Muğla. The history of Koycegiz is literally thousands of years ago, with its many natural beauties and charming architecture. Considering that many civilizations live here in time, the cultural heritage left here is quite high. The livelihoods of the people living in Koycegiz are agriculture, livestock, forestry and tourism especially in the summer months. According to the 2016 census, the population of Koycegiz is 35,000. If you are going to travel to Koycegiz, we have listed a few places to see here. Koycegiz has many natural beauties and historical structures. Especially with its natural beauties, visitors are enchanted. The district is quite famous by this side. Yuvarlak Creek, Sultaniye Hot Springs, Koycegiz Lake and Ekincik Bay are just a few of these natural beauties. Especially Koycegiz Lake is quite impressive. The first place that comes to mind when we speak of the historical building in Koycegiz is undoubtedly the ancient city of Kaunos. 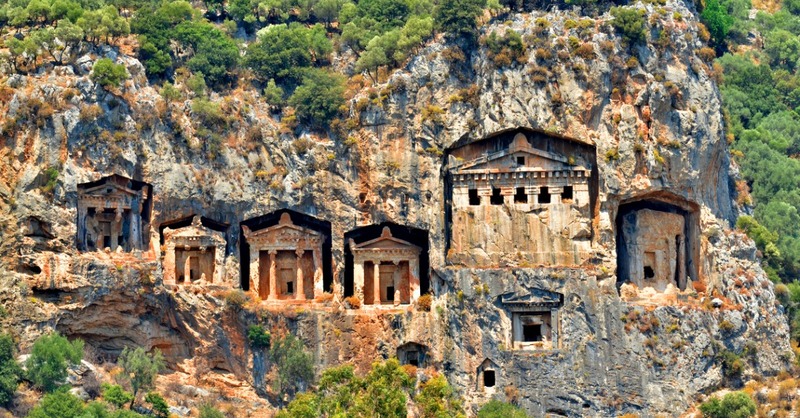 You can reach this ancient city by boat from Koycegiz and Dalyan. The lake is fed by water descending from the mountains into three arms. The Koycegiz Lake, which has a connection to the Mediterranean Sea, discharges its excess water into the Mediterranean Sea. The lake is so large (6300 hectares) that if you don’t have a map, you may not understand the difference from the sea. At the end of the lake, there is a small lagoon lake called Sülüngür, a mixture of sweet and salt water. This is the spawning place of the lake. If you are interested in taking pictures and non-motorized water sports, this is one of the best places to spend your time in Köyceğiz Lake. Especially if you like water sports such as surfing, sailing and rowing, Köyceğiz Lake is for you. Geographically and administratively, Kaunos Antique City of Koycegiz is one of the most important cultural heritage of Turkey. Kaunos, which was a commercially important port city in ancient times, lost this characteristic with the sea being filled with alluviums in time. The port of the city was Sülüklü Lake at that time. Then the sea was up to Kaunos’s acropolis. The Akropol in Kaunos was built on a hill of 152 meters. On the north side of the city walls remained the Middle Ages. 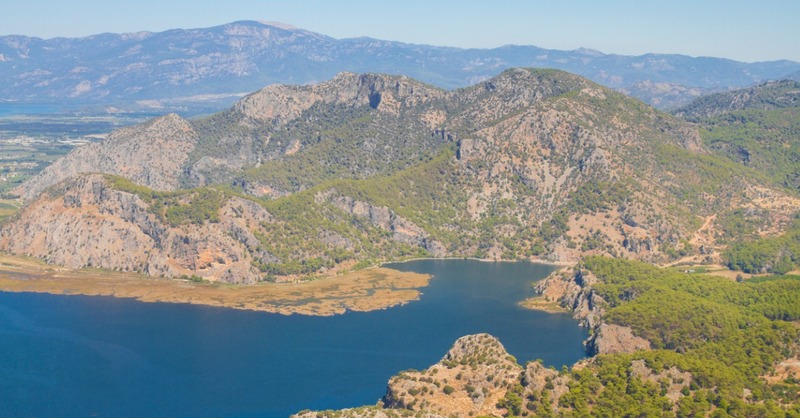 The Uzun Sur starts from the north side of the harbor and extends to the steep cliffs ahead of the Dalyan District. The theater in the acropolis is located at the foot of the acropolis. One of the ruins of the western building of the theater, which has 33 rows of seats, belongs to the basilica type church. Others belong to the Roman Baths and Temple. To see the walls and towers in full, you need to go on a long expedition. 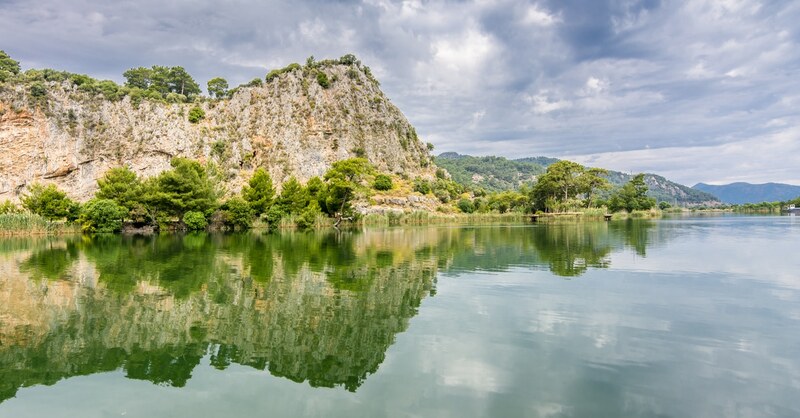 You should definitely visit the ancient city of Kaunos, which is a treasure for photographers. Ekincik Bay is one of the main stops of the boats between Marmaris and Göcek. The calm Ekincik Bay has been visited frequently by the visitors after being connected to Köyceğiz. Ekincik Bay, which has an enormous beauty, gives the scenery lovers pleasant moments. 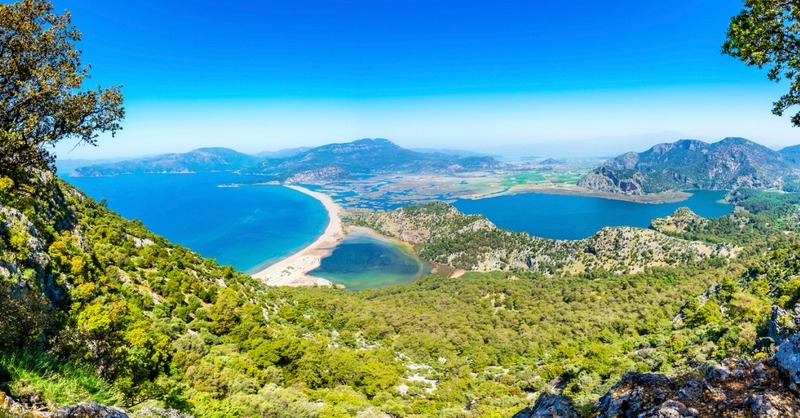 For those who want to stay in Ekincik; You can go to Dalyan Iztuzu beach with the boats attached to the Ekincik cooperative, see the ancient city of Kaunos, join the mud bath or trek through the Çandır Village from Ekincik towards the ancient city of Kaunos. Don’t forget to visit the beauty of this unique nature. 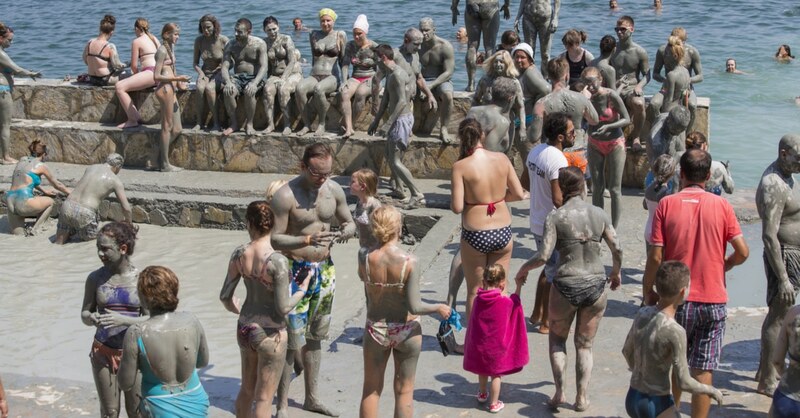 Sultaniye Thermal Springs are said to be healing for many people. You can even listen to a large number of stories of patients who were brought in a wheelchair or a stretcher in the area, walking after 21 course of treatment. Of course, it is up to you, but it is certain that you believe in something; Sultaniye, is Turkey’s highest radioactivity with spa (98.3). It is also known that the spa is said to be good for rheumatism, sciatica, skin and gynecological diseases. You can also reach the thermal spring side by dolmus (minibus) passing through Köyceğiz, Dalyan and Ekincik. There you can also go to the hot spring with boats. After visiting the ancient city of Kaunos, you can go to the ancient port of Kaunos, which is now called Sülüklü, and Çandır Village. When you go to Çandır Village, all Köyceğiz will be under your feet. You will be surprised when you encounter the view of Çandır Village. Where should you go when you are hungry during your holiday in Köyceğiz? How do you make your trip memorable with our eating and drinking guide? You can eat fish is definitely worth to eat in Koycegiz. Especially the mullet is our preference. The mullet grows in Koycegiz. The restaurants here are highly specialized in mullet with their excellent service. As for the drinking part, there is no drink for Köyceğiz but there is a very nice tea and buttermilk in Çandır Village. Definitely recommend. You planned your trip to Koycegiz months ago but there are only two things left: Transportation and accommodation. There are many hotels, pensions and aparthotel hotels in Koycegiz. Accommodation near Lake Koycegiz will be very good for Koycegiz holiday. For transportation, road and airway are used. If you don’t have a private vehicle, you can reach to Muğla via shuttle services. You can pass to Muğla with intercity buses or you can go to Köyceğiz by transferring from Muğla Dalaman Airport by shuttle services. Hurry to get your flight ticket! Otherwise, you may not be able to find your plane. Same goes for the bus. Have a good holiday already!